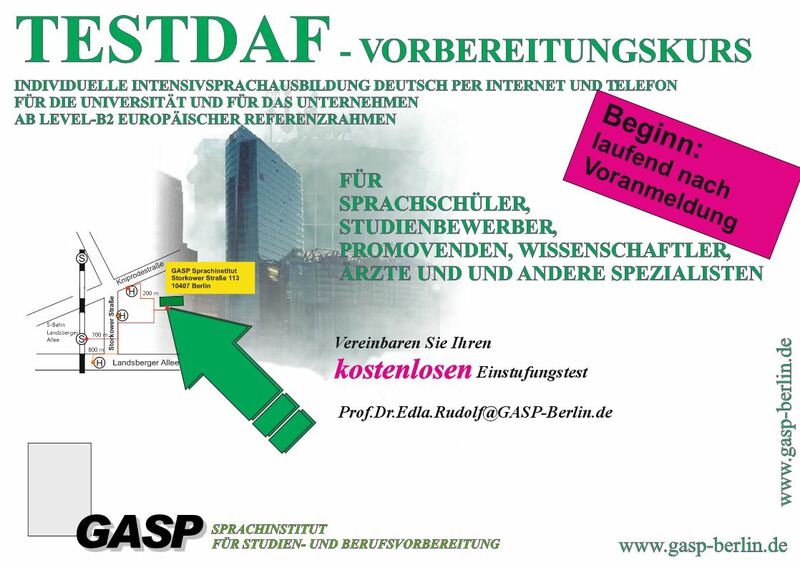 The GASP Language Institute for Academic Studies and Career Preparation is a service institution that is legally sponsored by the Gesellschaft für Agrar- und Stadtoekologische Projekte mbH (GASP), located in Berlin. GASP is registered at the Charlottenburg District Court under the number HRB 71452. 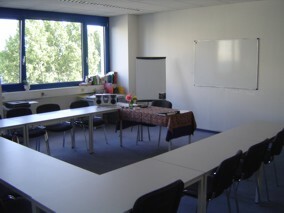 The GASP Language Institute for Academic Studies and Career Preparation prepares foreign students, graduate and post-graduate students to study at a German tertiary educational institution. 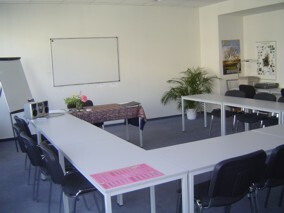 We also help prepare you to meet the challenges of carrying out difficult tasks in the German language at your place of work within the German business sector. 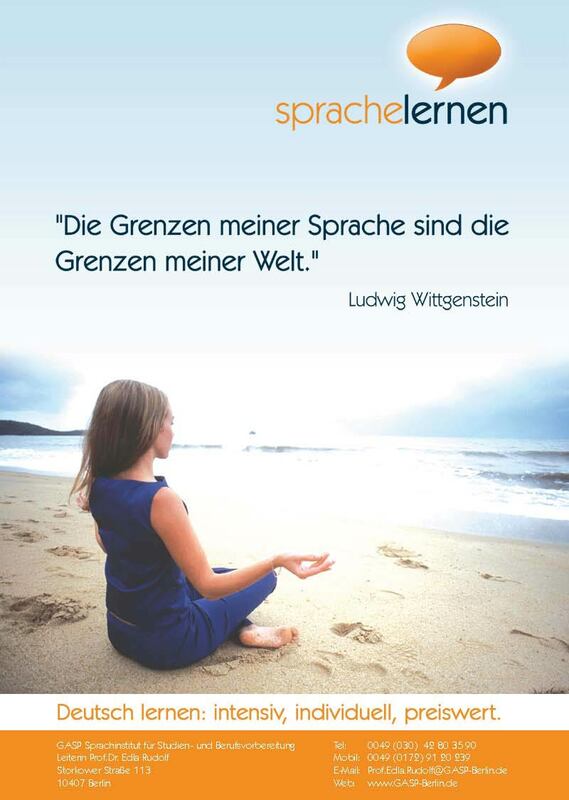 In addition to this, the Language Institute trains foreign experts, guest academics, postgraduates and employees (at German companies) to meet the rigorous challenges of using German in their place of work/study.